Apple has unveiled its new OS X software for Mac users, which it’s calling Mavericks and will allow for better searching, tagging, and support for multiple display menus. In addition, the new operating system comes with improved Safari browser, updated Calendar, Maps, and now support for iBook. 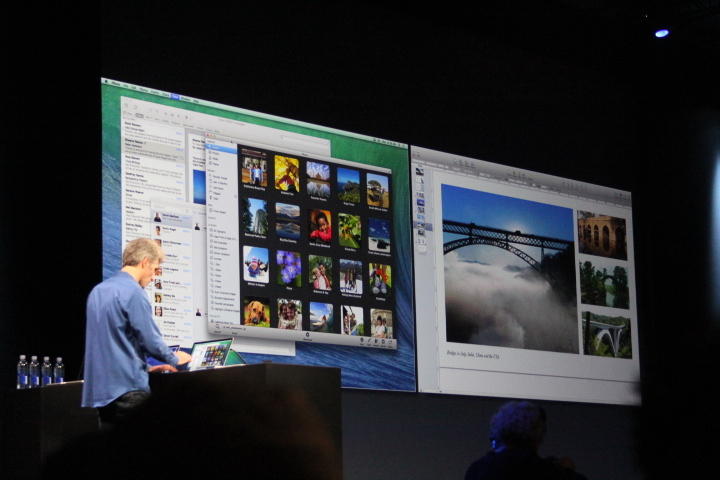 Today’s release succeeds Mountain Lion, which was announced at last year’s conference. It also abandons Apple’s traditional nomenclature that it’s had for the past nine versions — most of its recent releases have been named after big cats. Admittedly, they didn’t want to be the first company to delay software releases due to a diminished capacity of cats. Apple chose a name that would last for the next decade and be reflective of the place where it was built. It will be interesting to see how Mavericks will perform. Apple shared that it had shipped 28 million copies of Mountain Lion had since its release — making it the best release of all times, according to Apple CEO Tim Cook. Furthermore, it said 35 percent of users have the operating system installed. Its predecessor OS X Lion had just 26 million the year prior. Mavericks will focus on battery life and responsiveness and other features that will appeal to power users. 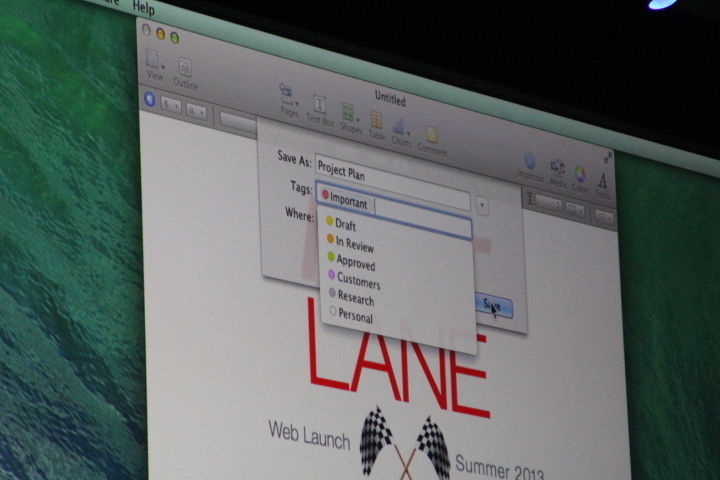 One of the main improvements is with finder tabs. Mavericks also includes tagging to help you find files and content. Additionally, the app now has support for multiple displays. Apple says that it’s always been a way to spread out your work but now you can spread out your work across multiple displays so that it doesn’t mess up your workflow or organization independently of the displays. It also acts as a full-power independent display if you have HD TV. Apple TV can also be used as an external display using AirPlay. 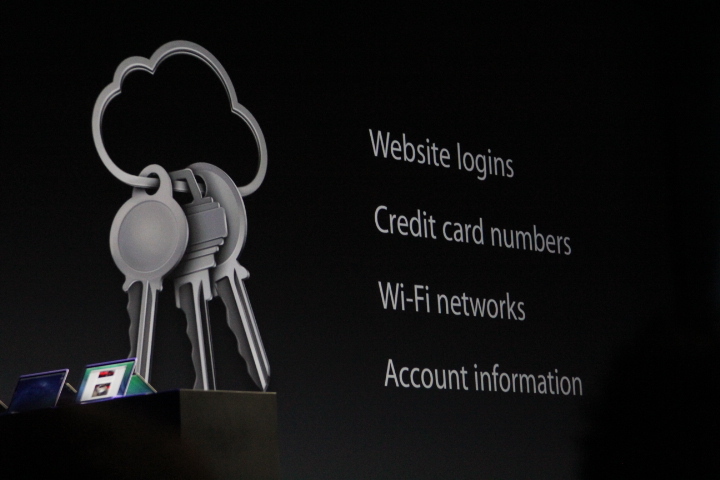 The Mavericks OS comes with an updated Safari browser and iCloud keychains. With the latter, it replaces services like 1Password that helps you remember your own password and helps remember your username and password so you won’t have to keep trying to remember it. Users will also receive notifications right on the desktop from email, Facetime, and other push notifications. Once received, replies can immediately be made right there whether you’ve received a new email, auction bid, or anything else. Mavericks also updates your apps right in the background so you don’t have to do it yourself and keeps track of what you’ve missed once you’ve sent your computer to sleep. 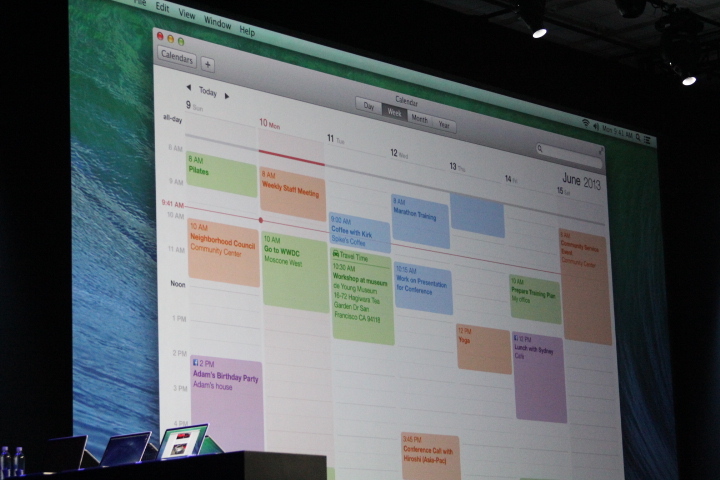 Apple has also updated the calendar in Mavericks that lets you keep track of events, weather, and includes a refreshed design. 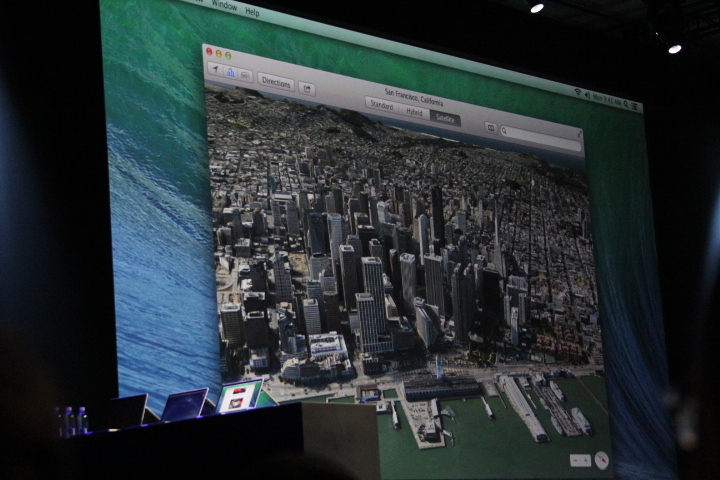 The Maps in Mavericks has been spruced up as well with 3D flyover data, points of interest, turn by turn directions, and the ability to map your route on your Mac and push it right to your iPhone. iBooks is also being brought to the Mac thanks to Mavericks, giving users access to 1.8 million books in Apple’s store right now. The application will sync between iOS and Mac for reading position and follow you from device to device while remembering what page you were on. Mavericks will be available for developers starting today, but for the general public, it won’t be ready for release until this fall. Update: We incorrectly listed Kodiak as a big cat that Apple used as part of its nomenclature. This post has been updated to reflect this correction. Check out our full coverage of Apple’s WWDC 2013 keynote here.